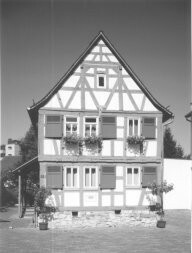 Tours - Heimat- und Geschichtsverein Dietzenbach e.V. There is a wide range of expressive goods from ancient history, the Roman Empire, and the Middle Ages up to the 20th Century. 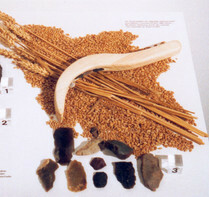 The region of Dietzenbach was settled very early as indicated by the objects exhibited. 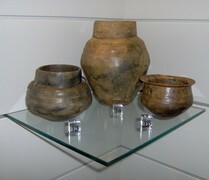 Various grave furnishings from the Bronze and Iron Ages show the variety of ceramics and metalworking as well as the way of funerals. Examples of articles for daily use are knifes andy toys. 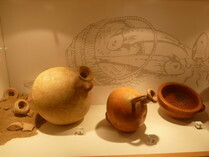 Roman coins, storage bins, bowls and dishes give a feeling for daily life during the Roman Empire. Ceramics, metalworking and leather founds as well as the "Dietzenbacher Silver-treasure" from the Middle Ages are exhibited. In 1215/1220 Dietzenbach City was mentioned for the first time in a document. 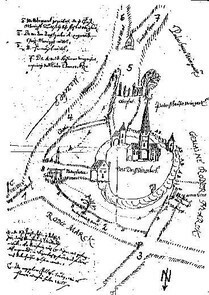 The oldest view of Dietzenbach City was drafted in the 16th Century. 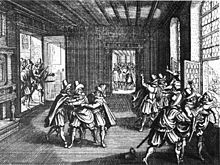 Historical events such as the introduction of the Protestant church or the Thirty-Years-War (1618-1648) wich formed the Dietzenbach City in a specific way are illustrated with old documents and pictures. You can get the impression of how village life might have been during 19th and 20th Centuries by walking through the village street with the craftman's establishments displayed (shoemaker, joiner, saddler and cartwright). Leaving the village street described above through a path behind the saddler's esablishment you reach a hall with a wide range of exhibits of agricultural tools. 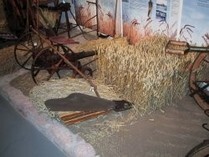 The exhibition focusses on agriculture as farming was the important basis for everyday life not only in Dietzenbach. 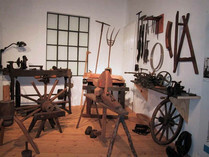 Next you can have a look into the half-timbered house where the life-style and everyday working tools are shown. Forgotten things of daily use give us a view of the hard life people had in that historical period.